Greg Maddux, Frank Thomas, Mike Mussina and Tom Glavine all made Rosenthal's ballot in their first year of HOF eligibility. I’ve always been flexible with my Hall of Fame ballot, adjusting as warranted. This year, I’m making two significant changes, the first because one of my old methods was ill-conceived, the second because certain exclusions were necessary due to the much-discussed crowded ballot. Some fans criticize voters who change their minds, pointing out that, “a Hall of Famer is a Hall of Famer,” and that a player’s candidacy does not vary over time. That is true. But circumstances change. Perspectives change. And I’d rather be open-minded than rigid, particularly when staying open-minded occasionally leads to a better understanding of a candidate’s merits. I didn’t vote for Bert Blyleven and then I did, influenced by compelling arguments from sabermetricians who made his case. I didn’t vote for Jim Rice and then I did, eventually concluding – though not without some reservation – that his offensive dominance was enough to overcome his defensive and baserunning flaws. 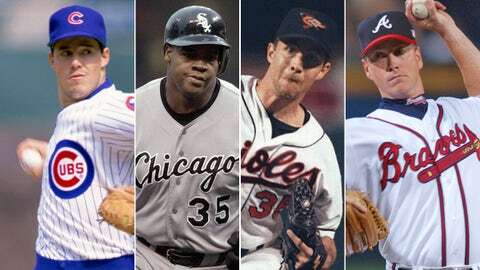 This year, for the first time, I am voting for the maximum 10 players – Jeff Bagwell, Craig Biggio and Tom Glavine; Greg Maddux, Edgar Martinez and Mike Mussina; Mike Piazza, Tim Raines, Curt Schilling and Frank Thomas. 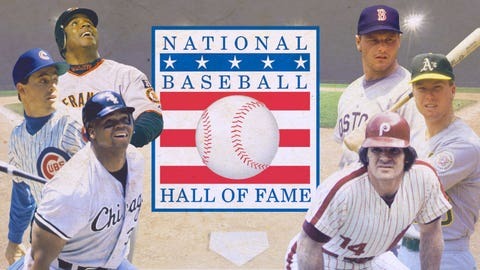 In recent years, I have not voted for any first-timers, using my ballot as a form of protest, a way to distinguish players from the Steroid Era (however undefined it might be) from the greats of the past. My method was unfair to certain, untainted candidates, but I reasoned that they, too, were part of a players’ union that had resisted testing for performance-enhancing drugs. The players had a choice, and for the longest time, they collectively chose to do nothing. Some readers expressed frustration that I did not vote for a player such as Biggio on the first ballot, but I thought my protest had sensible limits. I would vote for a Biggio the second time he was eligible and from that point forward. And I cannot remember a single case where I feared a worthy candidate might drop off the ballot because he would not receive the minimum 5 percent of the vote. The flaw in my approach – well, one flaw – was that I could not reasonably apply it to a slam-dunk candidate such as Maddux without looking completely foolish and stubborn. I knew all along that I eventually would need to face that reality. So now I’m facing it. If Maddux is not unanimous, it won’t be because of me. The greater problem these days, as I’ve detailed in past columns, is that every vote (or non-vote) is a trap door, producing no right answers, prompting legitimate differences of opinion. I do not vote for certain players who were strongly linked to PEDs – Barry Bonds, Roger Clemens, Mark McGwire, Rafael Palmeiro, Sammy Sosa. I know that the evidence of PED use varies among them. I know that I probably vote for certain users who avoided detection. And I know that the impact of PED use is impossible to measure – we don’t know who did what, to what extent, for how long. Some say that voters should not serve as arbiters of morality, and I tend to agree. Problem is, the rules for election instruct us to consider, among other things, “character, integrity and sportsmanship.” Are we simply supposed to ignore those instructions? The users gained an unfair competitive advantage over the non-users. They were rewarded once, and I struggle with rewarding them again. Entrance into the Hall is a privilege, not a right. The crowded ballot actually provided me with greater clarity as I reconsidered my decisions on the PED crowd. I’m entirely at ease giving priority to untainted players such as Maddux and Thomas in ‘14, then Randy Johnson, Pedro Martinez and John Smoltz in ‘15. The verdict on the PED crowd isn’t final; players can remain eligible for 15 years as long as they keep receiving 5 percent of the vote. Bonds, Clemens and the rest will keep exceeding that minimum, thanks to those who believe in their candidacies. Maybe in the future I’ll grow comfortable voting for them; I don’t see it happening, but I’ll at least allow for the possibility. I’m just not there now. Tyler Kepner of the New York Times has argued eloquently that the rules of election should be changed to allow voters to select more than 10 candidates. Jonah Keri of Grantland has noted that the limit is particularly harmful considering that players fall off the ballot when they do not receive 5 percent of the vote. 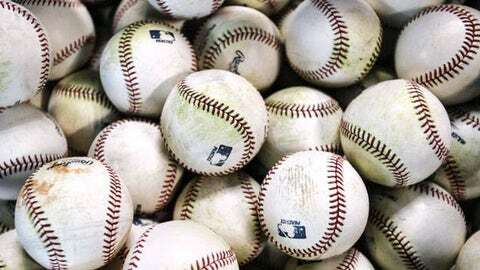 The Baseball Writers’ Association of America decided at the winter meetings to form a committee to discuss the 10-vote limit and other possible changes. I’m not terribly bothered that I stopped voting for McGriff, Smith and Trammell this year. I would prefer it to be otherwise, but a natural weeding-out process took place. Not ideal, but not necessarily unjust. This is Trammell’s 13th year on the ballot and Smith’s 12th. Neither seems likely of ever receiving the required 75 percent for induction. McGriff has been on the ballot only four years, but has yet to receive more than 23.9 percent of the vote. If I can find room for him in the future, I will. My greater fear, as I filled out my ballot, was that certain players would not receive 5 percent, eliminating them from future consideration by the BBWAA. I was concerned, in particular, about two players – Mussina and Jeff Kent. Mussina, in my view, is a definite Hall of Famer. Kent is worthy, too, though I am not quite as bullish on his candidacy. Maybe my fears are unwarranted – 569 votes were cast last year, and a candidate needed only 29 to exceed the 5 percent minimum. Still, Kenny Lofton received only 18 votes, falling off the ballot in his first year of eligibility. I don’t view Lofton as a Hall of Famer. I do believe he merited longer consideration. In any case, the 10-man limit forced me to vote strategically. Trammell was my most difficult exclusion. In the end, I dropped him to add Mussina. I considered ways to maneuver Kent onto my ballot as well, perhaps even by dropping Edgar Martinez, knowing that Edgar is unlikely to reach 75 percent this year, anyway. I even thought about including Kent over Mussina, sensing that it might be more difficult for Kent to hit the 5 percent threshold due to his occasionally frosty dealings with the media. In the end, though, I tried not to overthink it, and simply went with the 10 candidates I felt were most deserving. In a perfect world, yes, the BBWAA would abolish the 10-vote limit, and we could choose as many candidates as we wished. But that world does not yet exist. So I made choices, difficult choices, choices that I would have preferred to avoid. I won’t pretend my ballot is perfect. No ballot is perfect. All voters can do is take their best shot every year. And then try again.